Felt is an extremely versatile material. It’s non-woven, which means it has no warp, no weft, and no bias; it doesn’t unravel, which makes it an ideal material for intricate garments. However, because it is thick and relatively unforgiving, cutting intricate patterns and structures into felt is difficult to do by hand. Precise cutting is usually done by means of an industrial die cutter, which is costly when producing things in small quantities. Because of the cost of die cutting, using a laser to cut felt is great for prototyping and experimentation. The only downside to this method is the burnt smell. It fades somewhat after time, and is not terribly noticeable, but if you are really trying to make a finished product for public consumption, I would look into getting a quote for die-cutting. However, if you are trying to figure out the fit and proportion of an avant-garde garment or take pictures for a portfolio, laser cutting is more than sufficient. Use 95-100% Wool Felt. 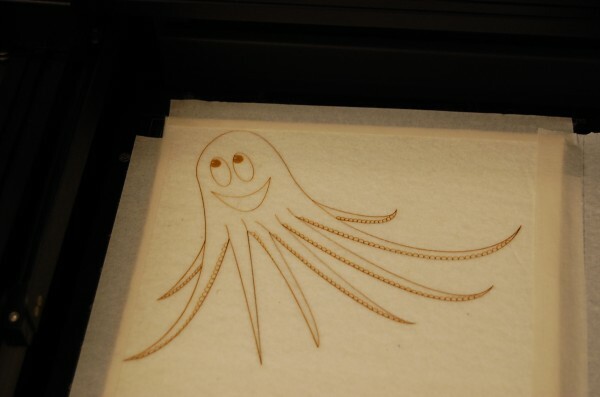 This is a good idea for the laser cutter in order to avoid the release of toxins into the air, but it’s also a good idea in general, as the material quality of 100% wool felt makes a huge difference in any project. There are two types of high-grade wool felt you can buy. Industrial/SAE felt is fabricated to standards set by the Society of Automotive Engineers and comes in cream (new wool) and grey (a mottled recycling of old wool and other materials). There is also 100% wool felt that is usually sold for doll making which comes in a multitude of colors. Stick with the plant-based dyes. Don’t get the craft-store felt — that’s mostly acrylic and is just really low quality in general. Felty is cut from 1/8″ F10 grade wool felt. We chose the F10 grade because it contains 95% wool. 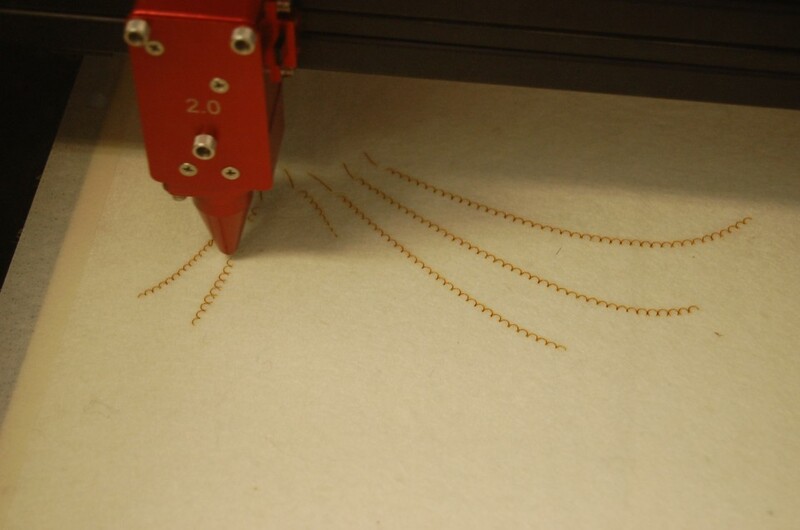 We operate our laser cutter in a confined office environment, so we are extra-careful about cutting potentially-toxic materials, especially some of the synthetics contained in certain felt materials. There are other grades of felt with the same wool content, but F10 is the least dense out of all of them, making it easier to cut at low powers. 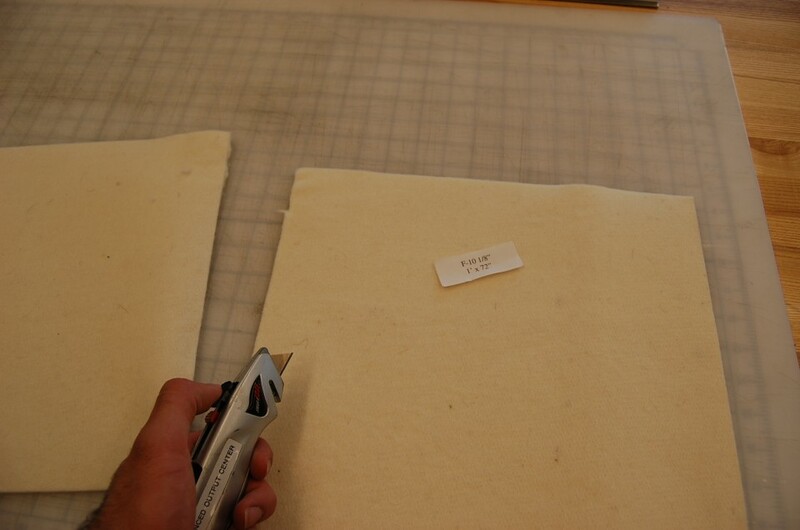 Cutting felt produces a smell likened to that of a burning dog, and it’s quite pungent. The less laser power we have to apply to the material, the less burning, and therefore the less stench produced. Draw your pattern in Illustrator with any engraved lines or cutouts. Outlines work best — large filled shapes result in a lot of burnt smell. Tape the felt down into the bed and properly focus it. The felt will stay pretty flat because of the friction between the fabric and the honeycomb table. However, the edges will fly up if not taped. As with any material, be sure to have adequate ventilation when laser cutting. Felt especially creates some strong odors. Set the line weights and color order properly. This will vary from laser cutter to laser cutter, but the black text should be raster engraved first. Next, the whale can be vector engraved or cut, and, finally, the outside edge should be a vector cut. Vector Cutting (2-3 passes, less burning): Power: 3%, Speed: 5%, PPI: 350 The multi-pass vector cutting option just cuts through, which leaves the cutouts still connected to the surrounding material by friction. This is safer for the laser and makes material removal from the bed easier. 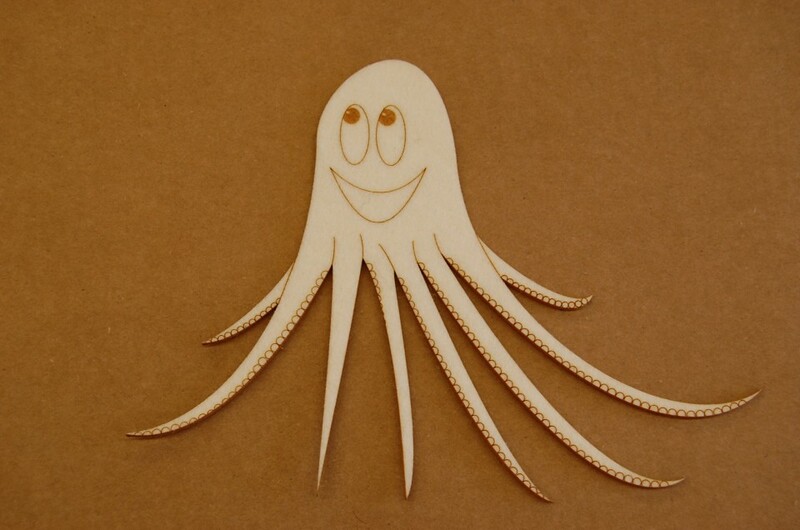 I’ve tried to laser cut craft-store felt and it is indeed a bad choice! Thanks so much for the informative post! Can you cut the 90% wool felt without getting burnt edges? We were able to wash the felt after cutting and this removed most of the smell and burnt residue, however it’s a tedious step. You may be able to try wetting the felt first, and increasing the power on the cut. Some lasers also have an inert gas assist that blows air or nitrogen over the cut which can sometimes minimize burning.